When you cook a steak, the perfection depends heavily on your preparation. No one wants to enjoy a flavorless steak on their plate, and one of the easiest ways to give a steak a Dallas steakhouse taste is through salt and seasoning. Salt isn’t just important for flavoring, but it can also be an ingredient that helps increase a steaks tenderness with the right technique. While we say salting a steak is simple, there are some ways to approach the process to ensure that your steak comes out well-flavored and tenderized. Following these three tips will help you not only create a tasty flavor but have your steak be compared to the greatest cuts of a Dallas steakhouse. The perfect steak requires time, and that is the approach that we take with salting. We recommend salting your steak approximately one hour before cooking it per inch of thickness. For example, if you were working with a steak that was 2-inches thick, then you would salt your steak 2 hours before cooking it. This will allow the excess moisture on the steak to seep out while it is sitting. Once the water on your meat has been drawn out, the saltiness will engrain in your steak and you’ll actually be grilling it rather than creating a “steamed” steak full of excess water. When you are salting for both flavor and tenderness, the type of salt that you use matters. Put the table salt away; those grains are too tiny to have an impact on your steak goals. 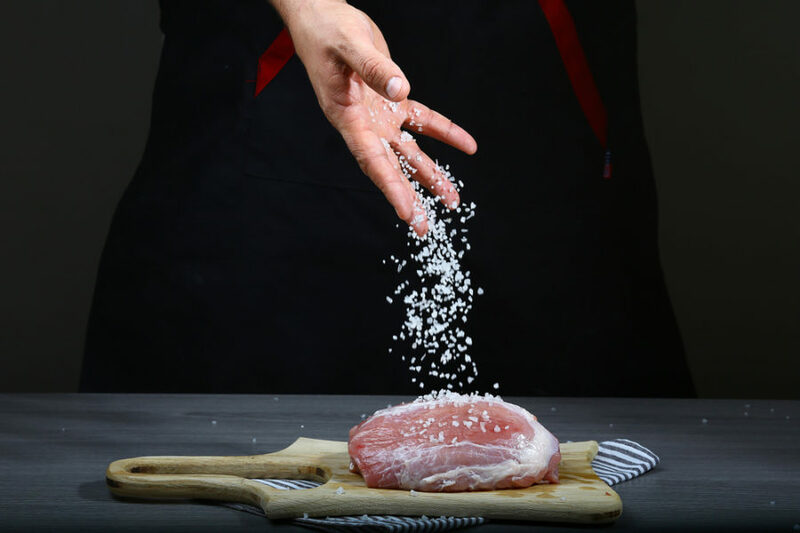 In order to perfect your salting technique, we recommend working with kosher or sea salt in order to really have enough materials on your meat to break down the proteins and bring out the flavor of your meat. While large amounts of salt may bring about the fear of drying out your steak too much, this isn’t anything to worry about. Drying out your beef to the point of jerky is a much longer process than what we are talking about here. If you stick to our recommendation of timing, you will be fine. This means that you shouldn’t be afraid to rub enough salt on your steak to make a difference. Even when used liberally, salt on your steak will not all absorb in your meat. After you’ve washed the excess salt off of your steak post-sitting, you should have a flavor that is noticeable, elegant, and not overpowering. If you want to do your steak salting homework and taste a cut of beef that has been perfectly salted for flavor and texture, Y.O. Ranch Steakhouse has a table for you. Our downtown steakhouse in the historic West End of Dallas has a wide selection of beef, wild game, and more to make your visit a memorable one. Contact us today to make your reservation at our table.